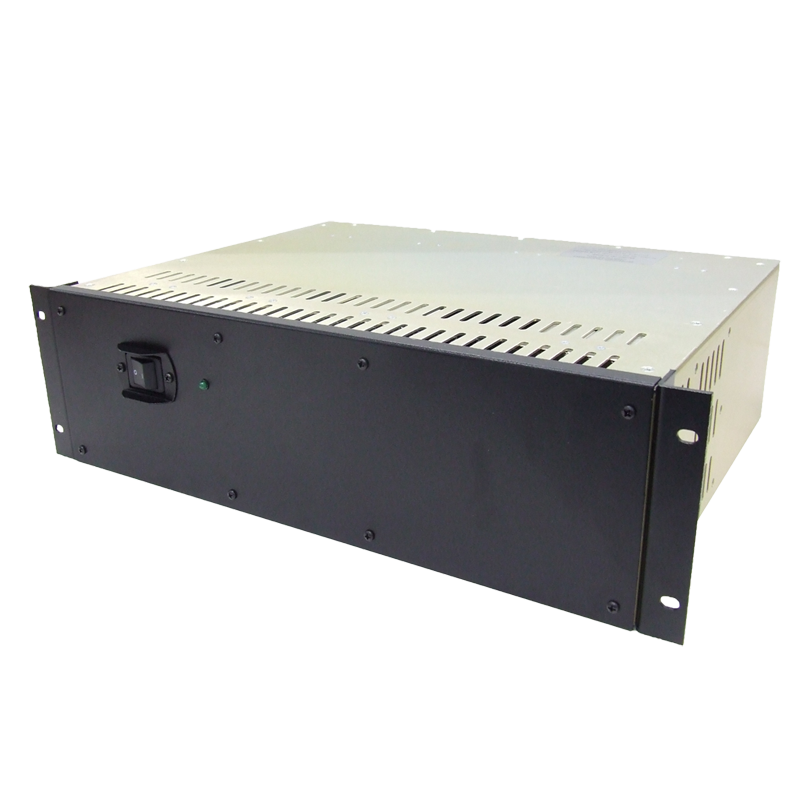 The RLP-20012 has a power factor correction of 0.95 and 3000 watts of output power at 90 percent efficiency. The RLP can operate at -20 C to +70 C with short circuit, overload, over voltage and over temperature protection. 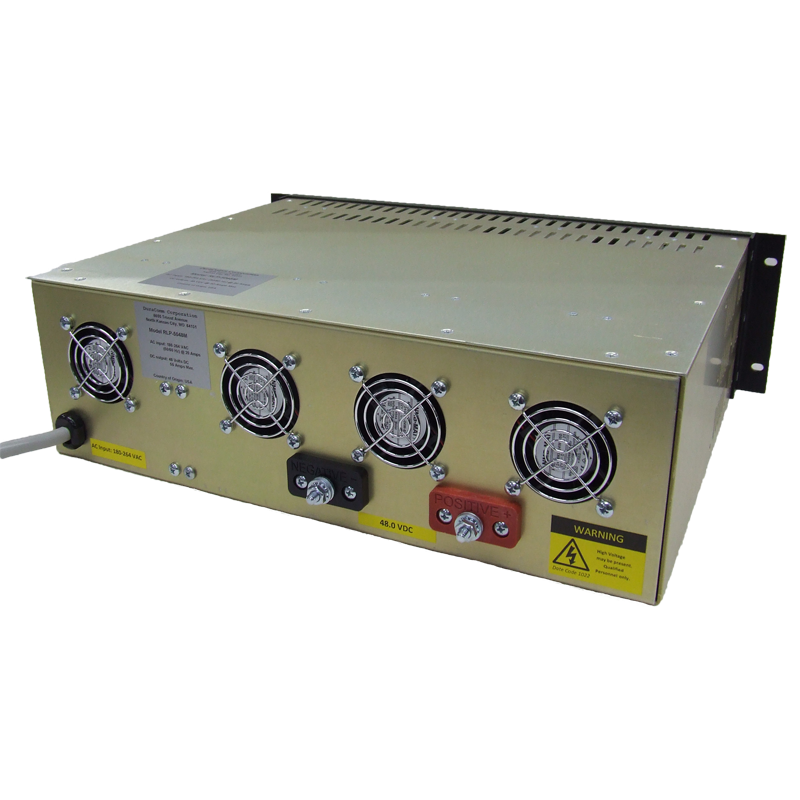 This model is usable in positive or negative ground applications with 1500 watt N+1 redundancy. 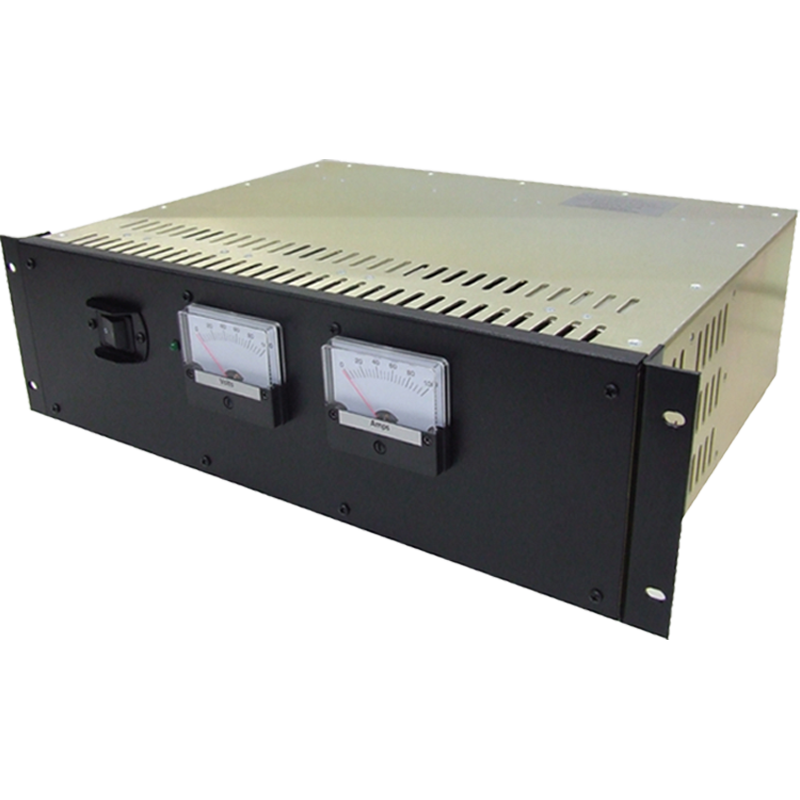 The input voltage for the RLP-20012 models is 220 VAC only. 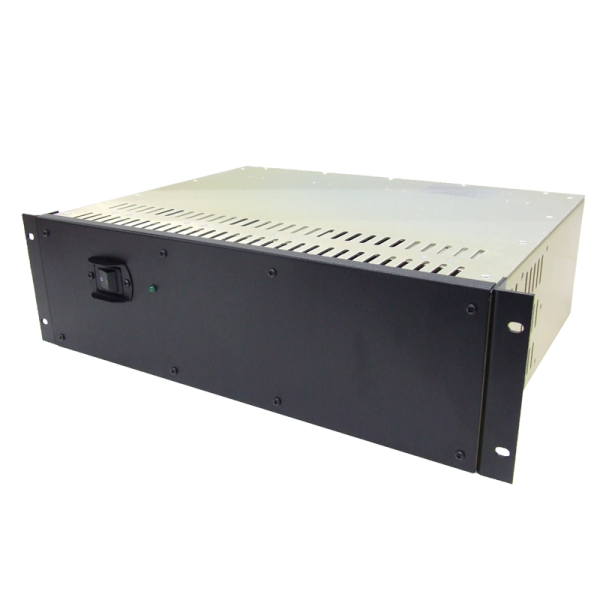 The 3kW Heavy Duty Rack Mount Power Supply comes with two meter displays, the far left for voltage and the right for amperage.